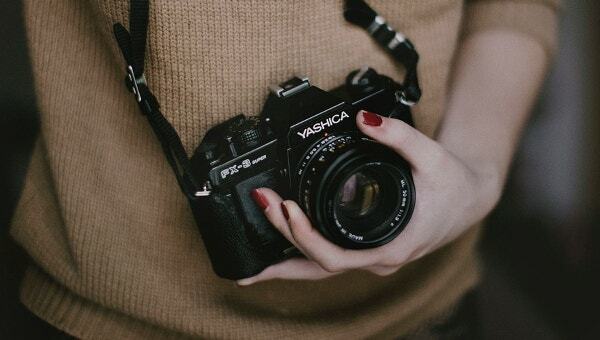 When searching for free photography wordpress themes, take a moment to have a look at the options available from us. Our themes are minimalist in approach but can be perfect for manifesting the photographic skills. These themes come with stripped down design that offers easy photo uploading, contact information, blogging, as well pop-up screen options to ensure that the finished product stands out high in the crowd. 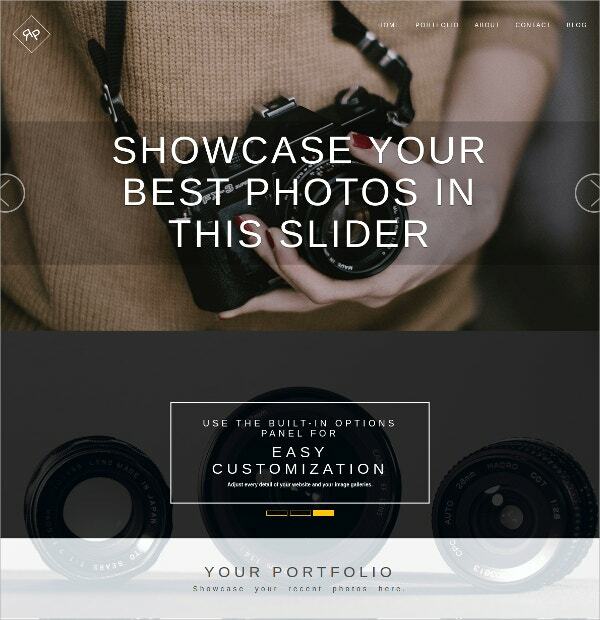 You May also See Best Photography WordPress Templates. These themes also feature quick navigation that allows visitors to navigate through different sections of the webpage with ease and within the shortest time limit possible. The presence of full-width slider on home page ensures that the best designing features are displayed clearly at the start. 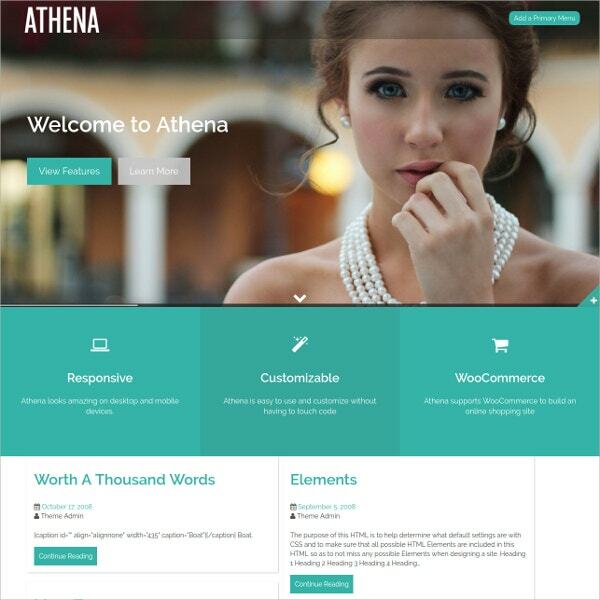 This theme is packed with useful features and comes with a modern layout. It is totally responsive and supports every modern day browsers. The theme comes with full width front page slider, parallax effect based homepage, animate callouts and 600+ icons to choose from. The theme also comes with a Live Customizer to customize the site easily. 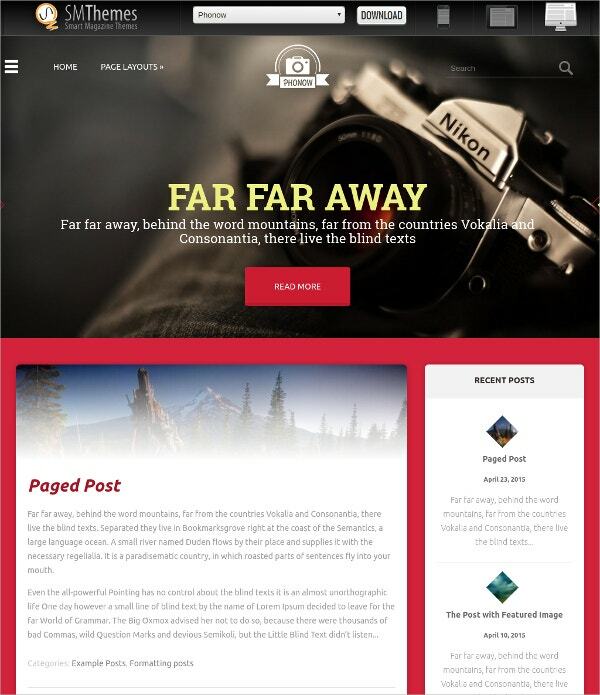 The theme comes with a minimalistic approach that supports infinite scroll and masonry layouts. The template offers automatic update option. This theme comes with a beautiful design layout and appearance. The theme includes antispam filtering without any requirement for captcha. It is also compatible with all the latest wordpress versions. 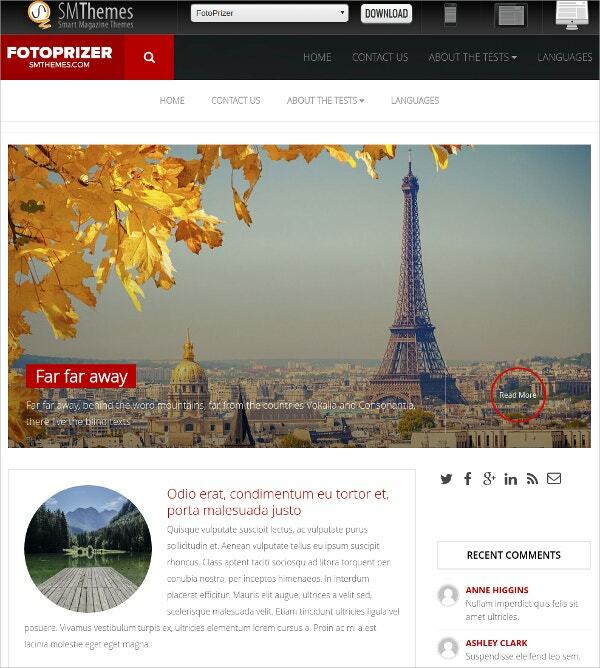 This wordpress responsive theme offers the users to experience content in stunning reality and crispness. 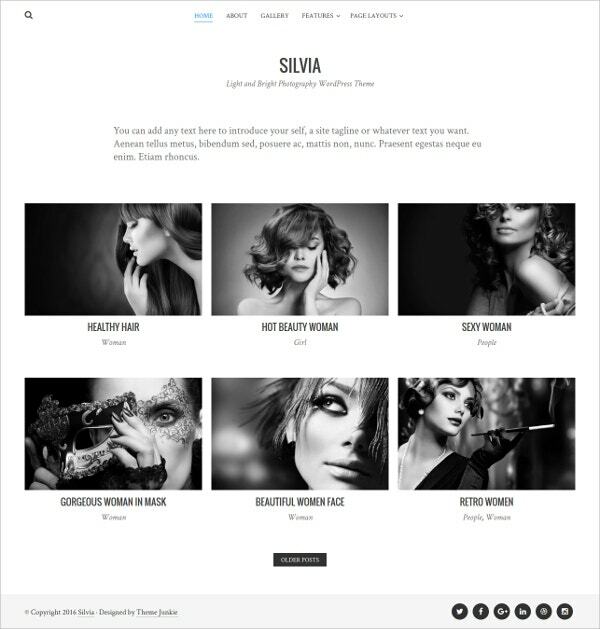 This wordpress theme has a premium design and comes with a responsive layout. 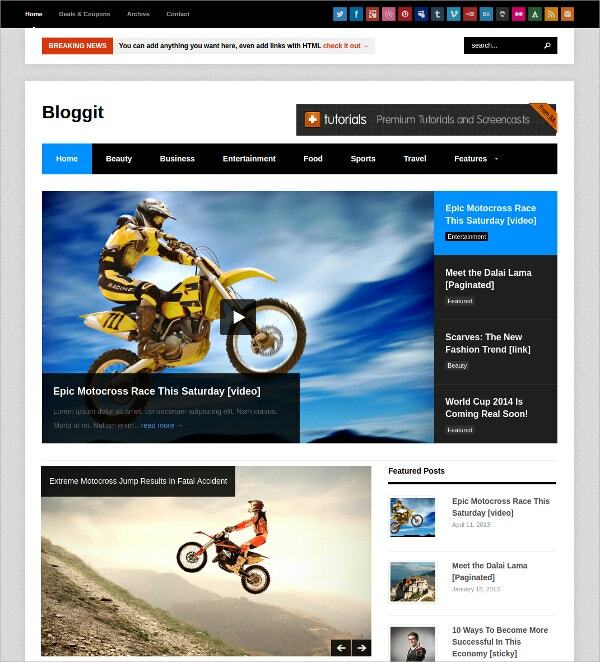 The theme comes bundled with optional RSS, search forms, 8 theme skins, Custom widgets, and PSD files. This theme has a niche designing layout using the perfect combination of red and black shades. The theme is compatible with all the latest wordpress versions. This theme comes with a bold layout that suits perfectly magazine layouts, blog covers, and portfolio sites. It is fully responsive and works with any smartphone and tablet devices. The theme can make any post transform into newspaper layout to provide additional effect. 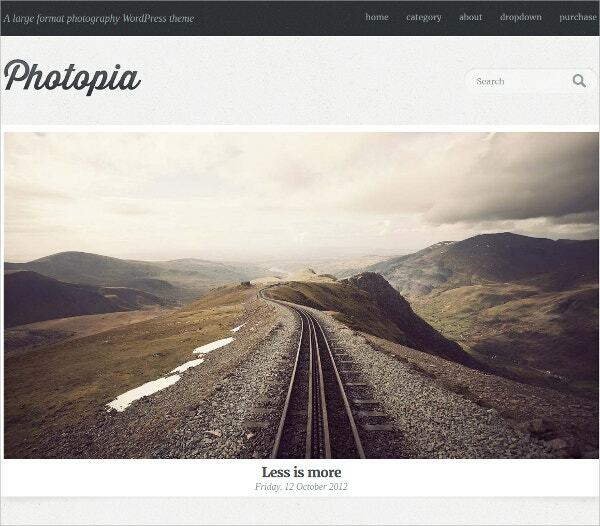 This cool photography portfolio wordpress theme comes with a niche and simple design layout. It is perfectly apt to showcase portfolio and would suit artists, craftsmen, architects, photographers, etc. 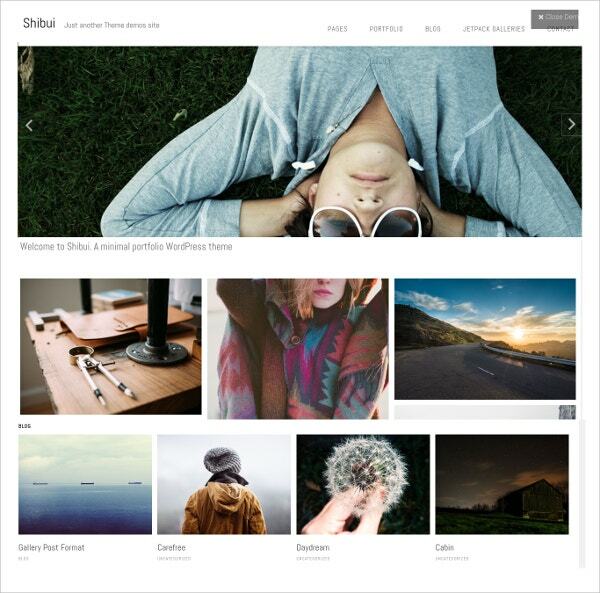 This is a clean and minimalistic photography theme that promises to be totally responsive and cross-browser compatible. 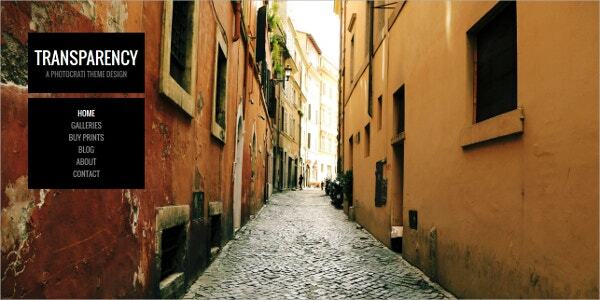 Customizing the color of the theme at any corner and section is absolutely easy. This wordpress theme comes with a responsive design that adapts easily to any phone screen. Now it becomes easier to change backgrounds, logos, headers, favicons, text blocks, menus, and widgets. The presence of custom widgets area allows the option to add text blocks, images, and subscribe form formats. 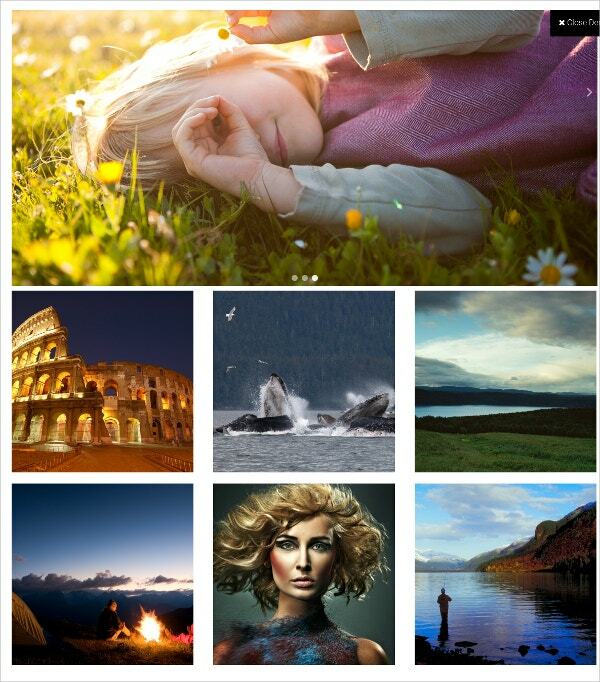 It also offers the option to include unlimited galleries. 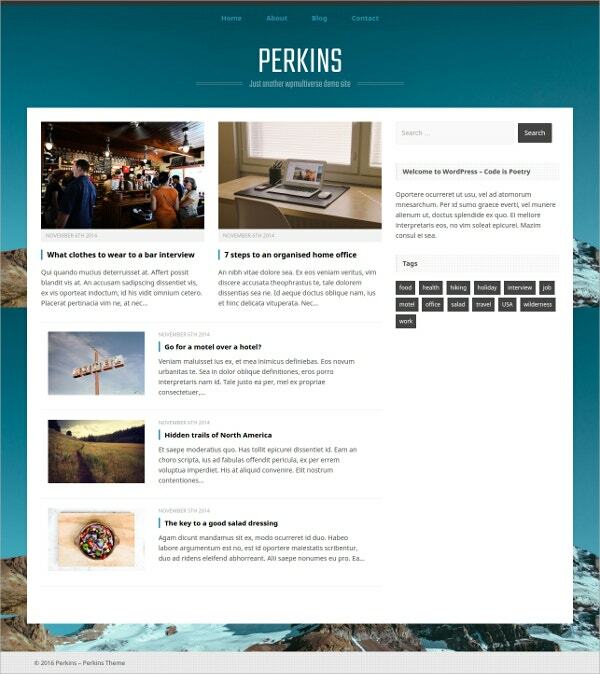 This wordpress theme is available for free. 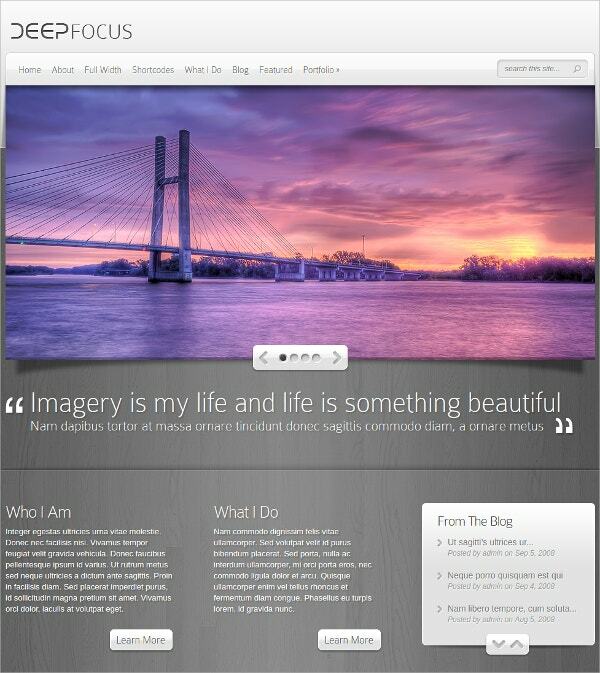 It promises to be simple and clean and perfectly suited for professional photography websites. The theme allows easy customization option to change the background theme with no coding involvement. 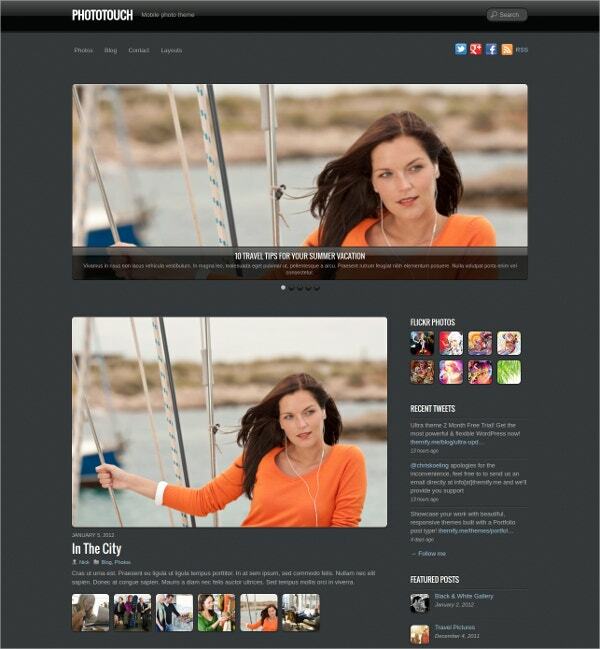 This wordpress template has a niche layout and suits the requirement for photography portals, blogs, and portfolio sites. 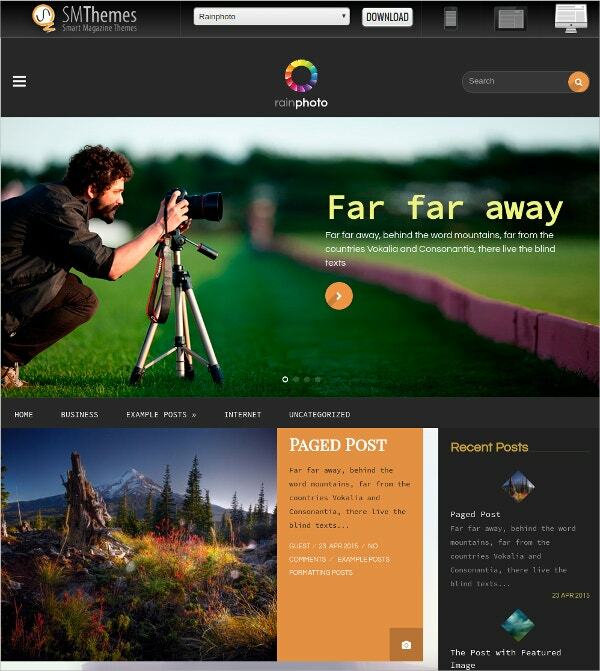 The theme also feature advance editorial options and easy customization effects.